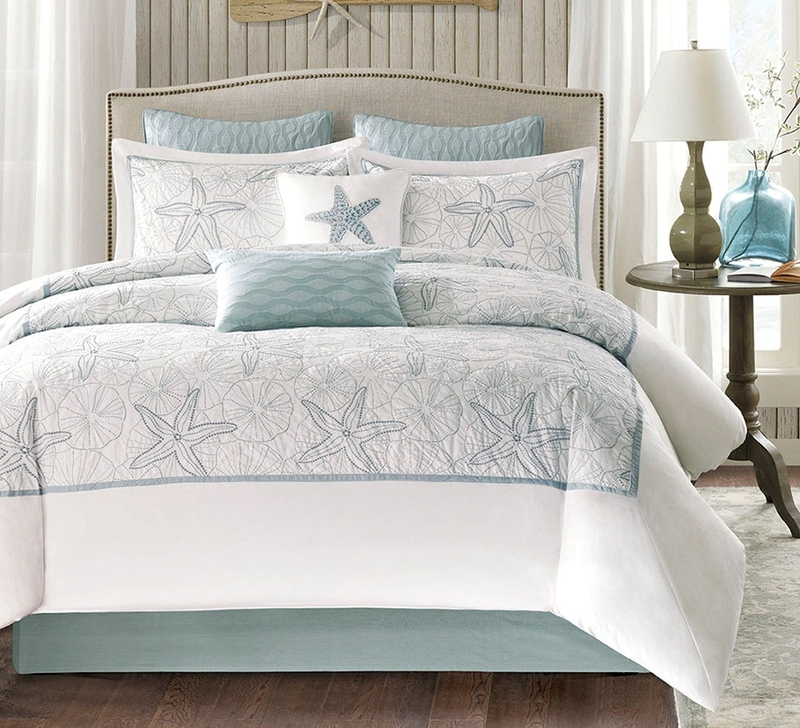 Bring the ocean breeze into your home with the Maya Bay Comforter. 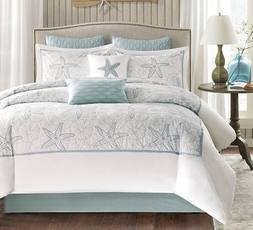 Relaxing seafoam green is the background for white embroidered seashells and sand dollars. 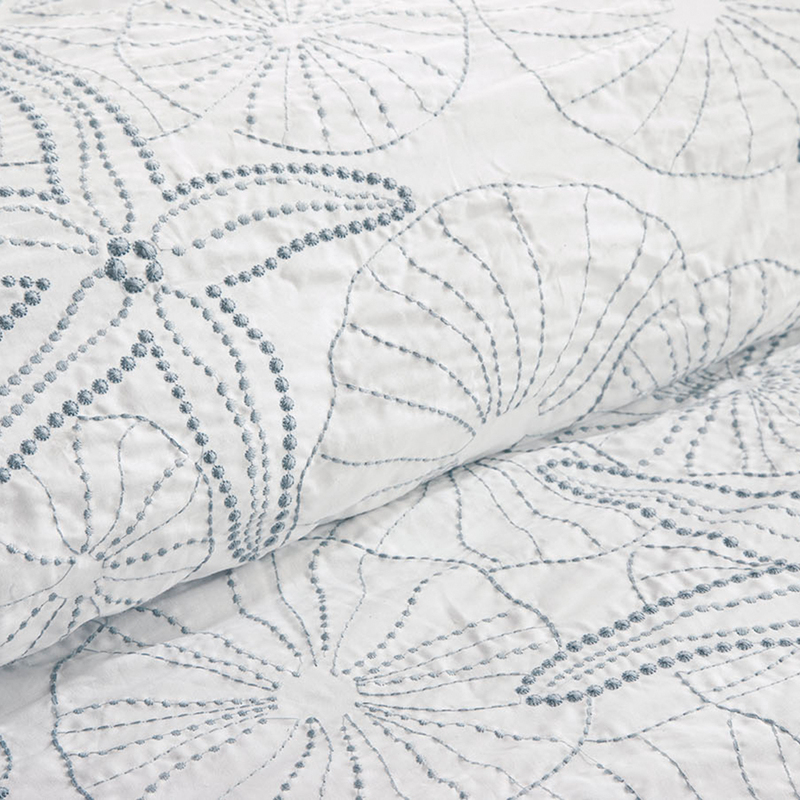 Made from 200 thread count cotton, the intricate detail will bring the feel of a tropical retreat into your home.